Ketogenic Diet Plan: Get Started Here! Being in nutritional ketosis is a beneficial body state, and a great deal of research is being done on ketosis as it relates to disease. Ketone bodies themselves are beneficial, and have been shown to alleviate many disease conditions through improvement of cellular energy pathways and mitochondrial health. Ketogenic diets are now being used to treat medical conditions such as diabetes, epilepsy, autism, Alzheimer's, cancer and others, and much of the success of these treatments is rooted in these cellular effects. How do I start a ketogenic diet plan? Do I need to worry about the "dangers of low carb diets"? What are the side effects of a ketogenic diet? You should check with your physician if you have any concerns about starting a ketogenic diet plan with pre-existing health conditions, especially if those conditions involve kidney or heart problems. People with kidney disease should definitely consult with their physician about starting a ketogenic diet. Other contraindicated conditions and health issues are listed here. I've also written a page for people who have no gall bladder here. Make sure you read this information before starting the diet. However, ALSO be aware that most doctors get very little training on general nutrition and don't take into account or understand the effect of food on the body. They are also taught that ketosis is dangerous, and they get no training at all on ketogenic diets. Hence, if you ask your physician about this diet, you may get push back and a scary "ketosis-is-dangerous" sermon. Keep in mind that the doctor is confusing "nutritional ketosis" with a much more dangerous condition called ketoacidosis. These are two different conditions. Ketoacidosis is mostly a concern for Type 1 diabetics and others whose bodies are unable to make or process insulin correctly. Ketoacidosis usually develops when a person with type 1 diabetes develops an serious infection, has a heart attack or other debilitating illness. It is accompanied by dehydration, high blood sugars and is precipitated by the inability of the sick patient to administer proper amounts of injected insulin. It's almost impossible for people who have a working pancreas and blood insulin levels to develop ketoacidosis, as insulin regulates the liver's biochemical process of making ketones. 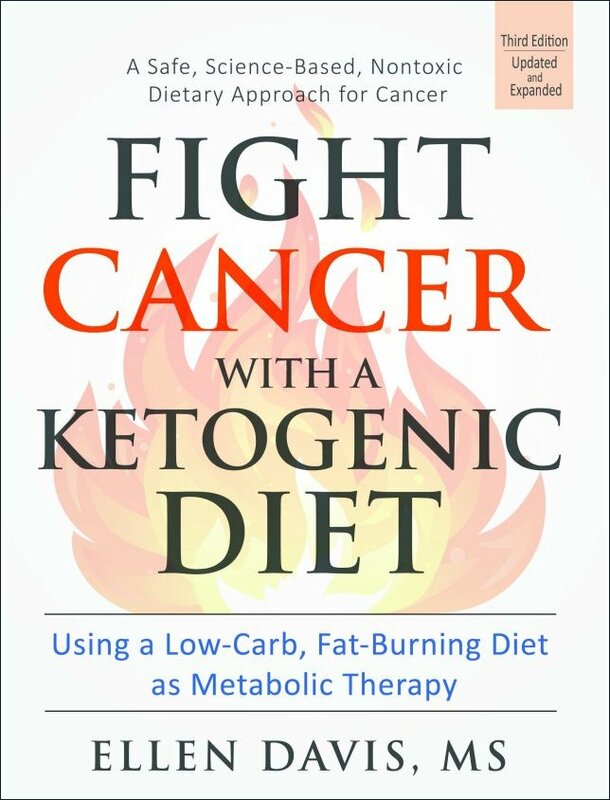 For people who are interested in using a ketogenic diet as cancer therapy, please utilize the Fight Cancer with a Ketogenic Diet book I have written for this specific purpose. There are some important differences between the ketogenic diet for cancer therapy, and a "regular" ketogenic diet for other issues. There are many ways of implementing a low carbohydrate, ketogenic diet plan but most involve following a higher fat, moderate protein, low carb food plan. (The Atkins diet is one of the most famous ketogenic diets, but certainly not the only one). Many people think of ketogenic diets as high protein diets but this is incorrect. They are high fat, moderate protein diets. Carbs: A ketogenic diet plan requires tracking the carb amounts in the foods eaten and reducing carbohydrate intake to about 20-60 grams per day. For some people, less than 100 grams per day may work, but this level of carb intake is too high for most people to achieve ketosis. 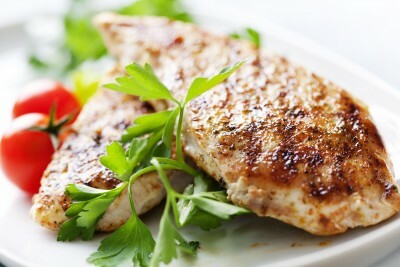 Protein: In addition, the daily protein requirement should be driven by your goal or ideal body weight or lean body mass. Protein intake also depends on height, gender and the amount of exercise done. Eating too much protein can interfere with ketosis. Fats: The balance of daily calories after calculating carbs and protein requirements will be from fats. Designing a ketogenic diet plan with these guidelines will most people go into ketosis and stay in that state. Being in a state of ketosis has some beneficial effects, so this is an important goal, especially for people with health issues. The key to correctly implement a ketogenic diet plan is to remember that you are exchanging carbohydrate containing foods with a higher fat intake and a moderate protein consumption. 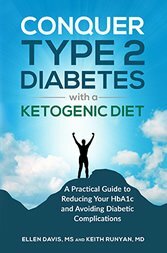 Although this website contains all the information you need, there are also several books which explain the science behind ketogenic diets as well. They were my "go to" sources and I recommend that you get one or two and read them. The bottom line here is to make sure to understand everything that will happen when carbohydrate intake drops. Ketogenic diets are very, very powerful, metabolically speaking and this is especially important if you take any kind of medication for blood pressure, diabetes, cholesterol or triglycerides. The dosage of these medications will need to be sharply reduced while on a ketogenic diet to avoid negative effects such as excessively low blood sugar or blood pressure. If you are diabetic or fighting cancer, consider buying one of my books appropriate to your health condition. 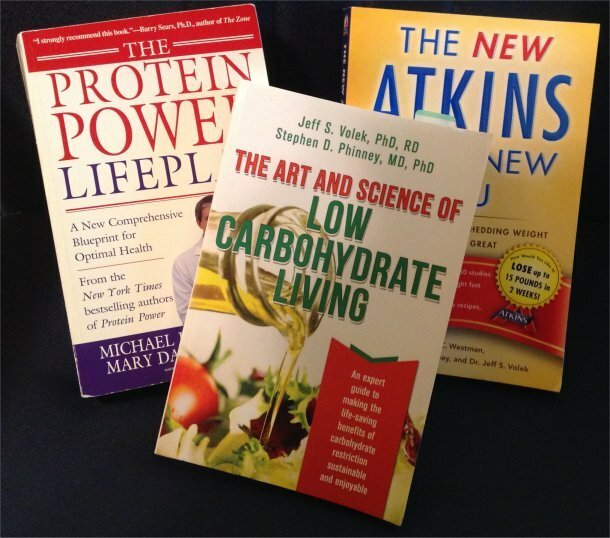 Each book contains more detailed information about ketogenic diet plans geared toward managing these diseases. Once you have a good understanding about the diet and are ready to start, download my Basic Ketogenic Diet Plan (the plan is in PDF format, so you need Adobe reader to open it). My plan provides step-by-step instructions on how to determine your custom and specific macronutrient levels (the amount of fat, protein and carb that you should eat given your physical characteristics). Get a carb counter guidebook to help learn and remember the carb counts of the foods being eaten. Counting carbs is a critical part of the program, and it's important to understand how to do this correctly. Go on a carbohydrate sweep. Inspect kitchen cupboards and refrigerator, and remove all of the high carb foods. This includes any whole grain "complex carbs" and most processed foods. Restock the kitchen, so that the foods on this low carb food list are available. This will help keep you on the path, grasshopper, and out of the cookies. Here's a low carb grocery list to help with food shopping. Be prepared to spend more time in the kitchen. This is an important point. A ketogenic diet menu involves cooking and eating real foods. If you don't know how to cook, this would be a good time to learn about cooking in general and specifically low carb cooking. Think about your meals, and how you will plan them. This will help in buying the right foods at the grocery store, and give a framework to follow when meal time arrives. If you know you're supposed to have salmon and broccoli for dinner tonight, it makes it a lot easier to avoid choosing the old high carb foods you used to eat. Replace old habits with new ones. If you're used to hitting the coffee place for a bagel, start making coffee at home, and have it with the eggs instead. Avoid the foods on this list of high carb foods. These are the foods that drive up your blood sugar and insulin levels. In addition, cereal grains like wheat are toxic for more people than is widely known. I think that most people with diet-related health issues have an untreated gluten intolerance. 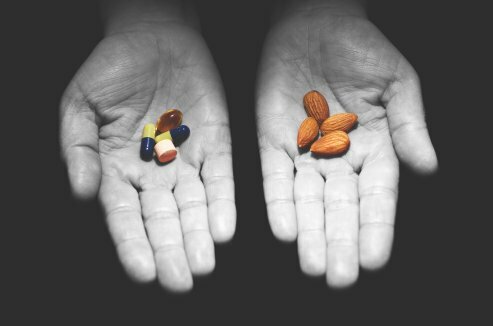 Consider taking these natural supplements. I recommend them for the specific issues I discuss on my low carb diet side effects page. Find some way to track daily food intake and carb counts. Keep a spreadsheet, use one of the online food intake trackers (cronometer or myfitnesspal), or simply write it down in a journal. Not only will journaling help you stay on track carb count wise, you'll want to have a record of the foods you are eating, how you felt and the changes you make so that if you go off track, you can look back and see what worked for you. This is a good place to track ketone levels as well. I've created a free printable food diary for you to use. The Atkins website also has some nice tools for tracking your progress on a ketogenic diet plan. And this database is an excellent resource for food information. Learn how to stop sugar cravings. There are supplements and techniques that can help you overcome those nagging thoughts of dessert and get your blood sugar under control. As time passes, you'll find that ketosis is a powerful appetite suppressant, so it should get easier to abstain the longer you eat ketogenically. Don't be afraid to eat more fat, and especially saturated fat. Also pay attention to the types of fats you eat on a ketogenic diet plan. Choosing natural fats such as butter, coconut oil, ghee and olive oil over seed based vegetable oils (canola, sunflower) is recommended. Fallacies and Fears: Is a Ketogenic Diet Dangerous? The "dangers of low carb diets" are really just myths told by people who have a limited understanding of how low carb diets work. The main criticisms include fears about fat intake and the process of ketosis. The argument over whether saturated fats are healthy or unhealthy has been settled in the research literature (they are not, but can be if you eat them alongside a high carb intake). If you need more info on the saturated fat debate, there are several good books to read on this subject. For more information about the type of fats to eat, see the saturated vs unsaturated fats page. I want to give special mention one of the side effects of carb withdrawal because it can really be scary if you don't know what it is. During the first week or so of cutting your carb intake, your blood sugar levels will fall, and you may experience a mild insulin overload. It can result in reactive hypoglycemia, or low blood sugar. This usually happens to people who are severely insulin resistant. It takes about 2-3 days to burn through stored glycogen (carb energy stored in your muscles and liver). After glycogen levels drop, and while carb intake is low, you may experience symptoms of shakiness, dizziness, tremors, a pounding heart and more. Your body is used to matching insulin to your previous carb intake, and it exhibits a little panic reaction when the two don't match. For those of you that have been living on a high-carb diet for a long time, the effects may be even more pronounced, as your blood sugar and insulin levels are probably chronically high. As mentioned above, the "dangers of low carb diets" are false beliefs and unsubstantiated fears communicated by people who have a limited understanding of how low carb diets work, or by people with financial or professional reasons to maintain support for the low fat, high carb message. For instance, since the privately owned Academy of Nutrition and Dietetics (formerly the American Dietetics Association) receives great sums of money from processed food manufacturers, they can't just suddenly start saying that a high fat, low grain diet is healthiest - they would lose all their funding from companies like Kraft Foods, Hershey's and Coca-Cola. I know that sounds harsh, but I will add that now in 2019, they seem to be coming around to the low carb idea. I've seen evidence that they are changing their message on the evils of saturated fat and cholesterol and that's a start, at least. If you have any lingering concerns, please remember that there is plenty of solid research showing that following a ketogenic diet plan is not detrimental to human health. Finally, if you have questions, you can use my contact form to email me, and there are many Keto Facebook groups where you can ask questions and get helpful answers.